Mustapha Jmahri pubslihed the 2nd edition of his monograph "La communauté juive de la ville d'El Jadida". For a New Seville is the story of men and women whose identity as Arab Jews challenges the very notion of enemy. Shot in Morocco and in Israel-Palestine, it is part historical investigation, part poetic and musical essay on loss and longing, on hope and the possibilities of coexistence. This feature documentary is an investigation into the circumstances that led to the exodus of Jews from Morocco. Were Jews expelled from Morocco, as some have claimed? What role did Israel’s need to « judaïse the land » play in the campaign to transfer Jews out of the Arab world? Why did the Moroccan authorities facilitate the departure of Jewish citizens at the same time that the King pleaded with them not to leave? Though not having touched Moroccan Jews who were under the protection of the Kingdom, the Holocaust had a terrible emotional impact in the country. Highly encouraged by Zionist movements present at the time, the most vulnerable Jews were tempted, enlightened by the idea of leaving for a better world, running away from a daily misery that had installed itself because of overcrowded « Mellahs »; and others just wanted to get closer to Jerusalem, holy land for the Jew and the Muslims. To fight against these departures, the Sultan of freshly independent Moroccan Kingdom gave full nationality to its Jews. They were also interested in the structures of a new independent state. This outburst was soon to be broken by a pro-Arab politic which encouraged Arab countries to free themselves of any forms of colonialism. Israel quickly became the target of anti-Zionism campaigns coming from all Arab countries, and Moroccan Jews were told not to have any links with the newly formed state. They suddenly felt lost, between the feeling of not wanting to betray their country, and neither to loose their natural connections to Israel, where most of them had seen family members already migrate. Morocco’s policy to cut all postal and telephone communication with Israel reinforced them into feeling that they were scapegoats, paying for others. Many Jews started to think that the Moroccan integration was nothing but a blur, and the betrayal forced many into wanting to migrate to a country where their citizenship would not be put in the balance as political choices evolved. The second wave of massive departure happened after these events, in the beginning of the 1960’s, followed by another one in 1967 after the Arab defeat. 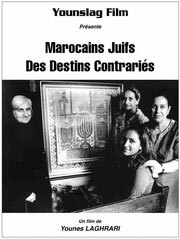 The Moroccan Jewish community almost entirely disappeared, going from 250.000 people the day of the Independence, to a few thousands today. With the loss of a part of it’s population, Morocco also lost some traditions, and ancient work knowledge. Nowadays, some of them are coming back but very few young people.